The forthcoming release Don’t Stop Singing, a collaboration across the generations between Thea Gilmore and Sandy Denny is getting some really good attention in the press, with pieces in The Telegraph, Clash, The Independent and on the BBC. Fans can also watch a short video about the making of the album. 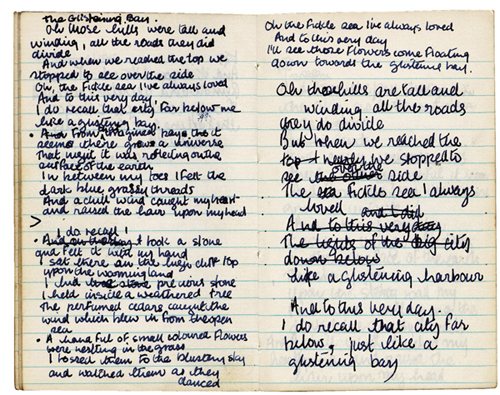 Clash have featured a nice piece that includes a look at some of Sandy’s original lyric sheets for some of the new songs. The Independent ran a big feature article on the 14th of October discussing the album with Thea and looking at Sandy’s enduring legacy. BBC Radio 2 ran an interview with Thea Gilmore and Bob Harris discussing the project which can still be heard on their website. Island Records/Mighty Village release the album on November 7th 2011.